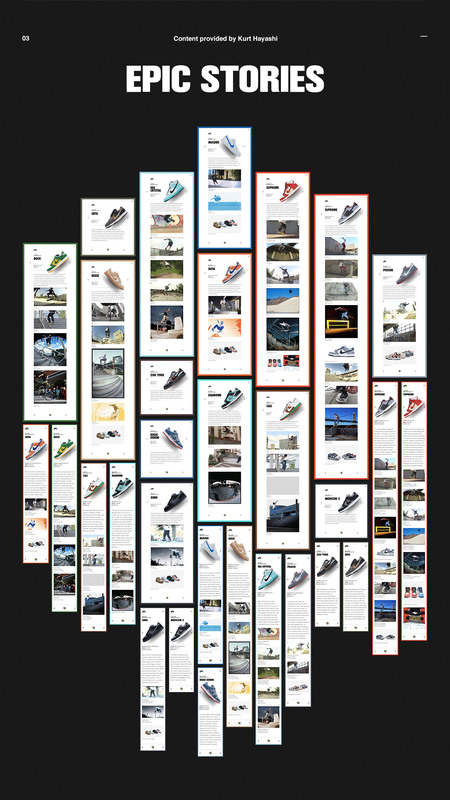 Matt Schreiber and Jessica Necor shared an awesome web design project highlighting the 15 years of Nike SB Dunk. It's a great project with a beautiful grid and smooth animations. I am a fan of skateboarding, especially its culture and style. I used to be a skateboarder, well, I still get my board from time to time but I am more of a follower now. There are so many things about this particular sport that is quite interesting. It's perhaps one of the sports that you can be really creative. So many variations of tricks, also the style of the rider, the clothes, the shoes. 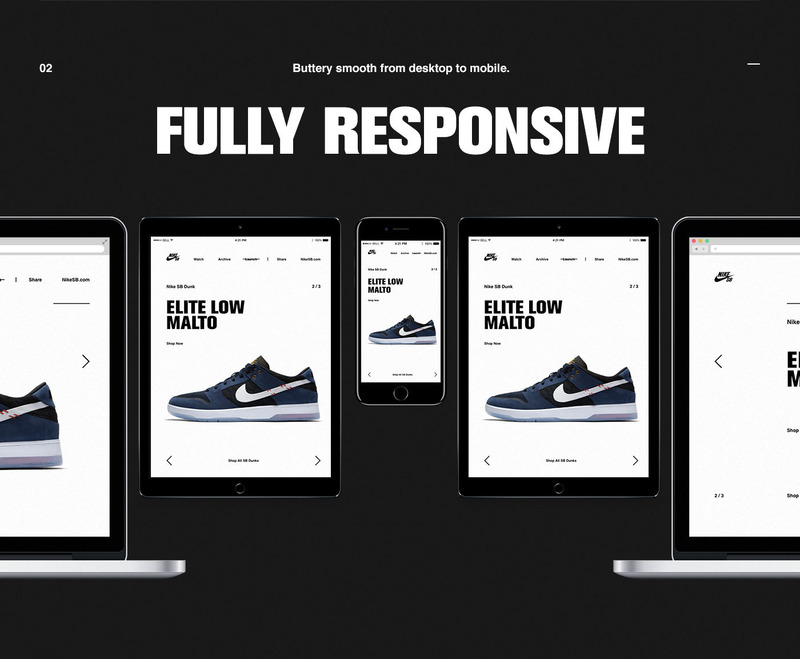 Nike realized that and started focusing on skateboarding. Now back to the web design, check out some images below. 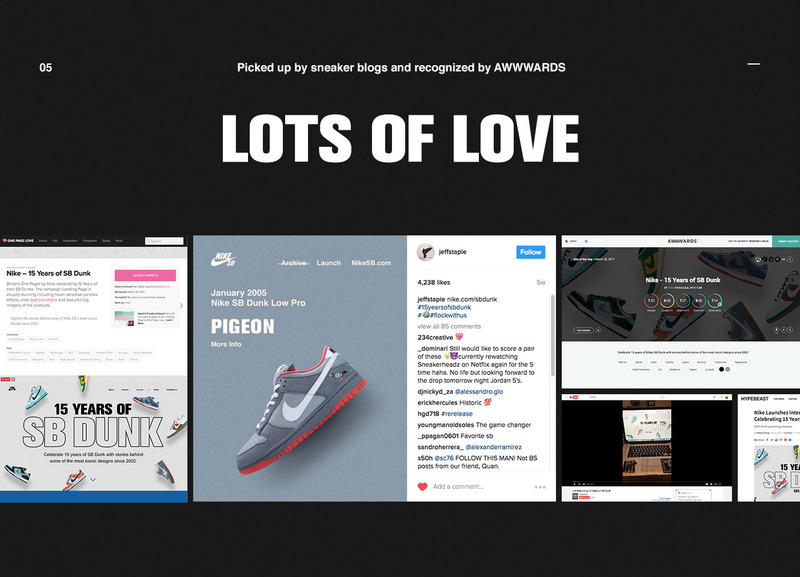 R/GA Portland and Legwork Studio partnered with Nike SB to celebrate 15 years of the Nike SB Dunk and usher in the next generation of SB Dunks. They built an interactive archive to house some of the most iconic stories behind one of the most iconic shoes of all time. It’s time for another installment of our series of “That 90s Look is Coming Back”. Today we are excited to share a web design project that captures a bit of the essence of the 90s typography.